This exhibition examines how engineering, through practical applications and concepts, is inspiring and being used by artists today. 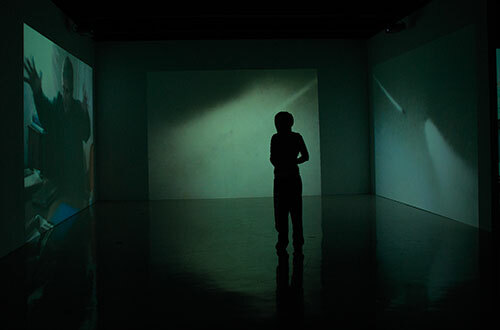 Contemporary art explores the world we live in through a range of media and techniques for making art. Artists are combining traditional skills and new technology to create inspiring and thought-provoking new work. In recent years, art practice has embraced dialogues with people working across a range of disciplines, provoking new ideas. 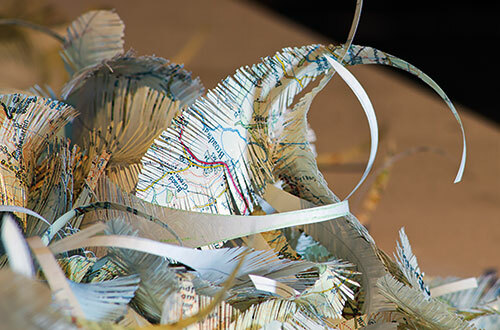 ’Da Vinci Engineered’ demonstrates how such conversations lead to the creation of exciting new work including print series, metal sculpture, video or installation. The artists in this exhibition have been given the opportunity to re-think their practice in relation to engineering, flight and Leonardo Da Vinci. At a time when young people are often asked to choose between ‘the arts’ or ‘the sciences’ at secondary school, ‘Da Vinci Engineered’ shows us that we should, instead, embrace many different approaches to learning. Engineers and artists are both creative: Leonardo Da Vinci never had to choose whether to be an engineer, a sculptor, painter or architect as designs for his flying machines demonstrate. Ventilation Dress II takes the form of an auxiliary ventilation fan. The flowered pattern design is the same as that on a dress worn by the 1972 National Coal Queen to the National Coal Mining Reunion in 1976. 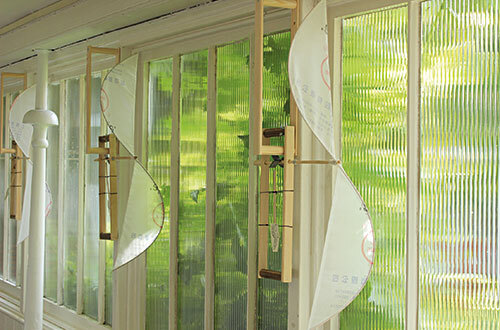 Claire Barber is Senior Lecturer in Textile Practice at the University of Huddersfield. She has exhibited widely in the UK and internationally including Australia and Japan. Bieli grew up in Switzerland and now lives in Hull. 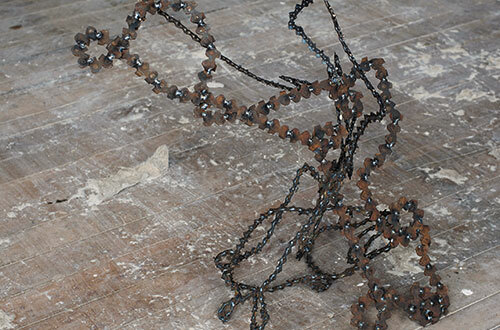 Her experience of working on building sites and in a fine mechanics workshop have influenced her working practice. Savinder Bual has exhibited widely in the UK including as part of the 2011 Bloomberg New Contemporaries touring exhibition. 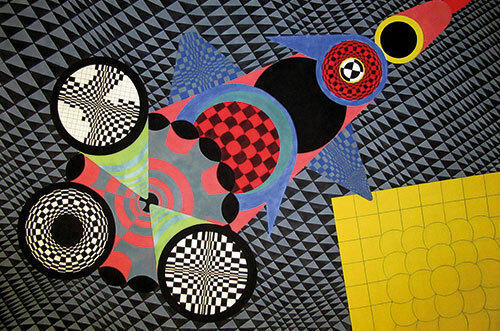 She studied at the RCA and continues to live in London. Cath Campbell studied Fine Art at Newcastle University where she continues to live and work. She is represented by Workplace Gallery, Gateshead. She has exhibited widely throughout the UK and the rest of Europe, and has received many commissions. 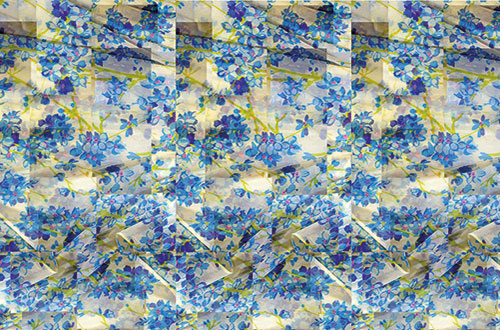 Clare Charnley has exhibited widely throughout the UK and internationally. She is currently showing work in the exhibition ‘No Quiet Place’ at The Tetley in Leeds, the city where she lives and works. Nicola Dale has exhibited widely throughout the UK and USA including at the Yorkshire Sculpture Park. She studied at Manchester School of Art where she continues to live and work. Ellis’ new project is concerned with the recent history of UK steel. She is currently exploring its socio-political issues by engaging with Unions, businesses, local authorities and individual steelworkers. Nicola Ellis has exhibited widely in the UK and the rest of Europe. She currently lives and works in Manchester where she is represented by Mark Devereux Projects. Strange Attractor evolved through discussions with Lecturers in the Department of Engineering at the University of Hull and is inspired by Amy Johnson’s flights. 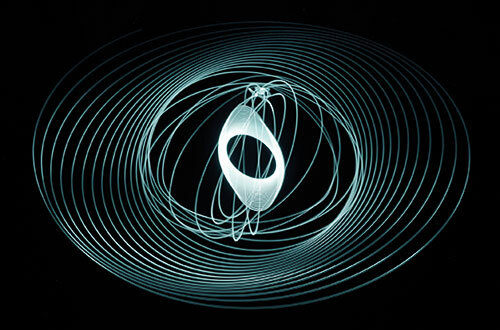 The artists Anna Heinrich and Leon Palmer describe the work as: ‘A magnetic pendulum swings in an arc across a large disk of white sand onto which three circles of continuously changing coloured light are projected. These circles overlap each other to form a central section of white light under which three magnetic centres exert an invisible force. The pendulum cuts a fine pattern in the sand which traces its various journeys towards equilibrium and the calm elliptical spiral at the centre. The magnets however, exert a strange attraction and bring a degree of uncertainty to the airspace and the exact direction that will be taken. Occasionally the pendulum completely changes direction and can even become stranded at a magnetic pole.’ Viewers are invited to swing the pendulum. Their collaborative work also includes large-scale projections, films, outdoor installation and light boxes. They have been awarded many commissions and worked across the UK and internationally for more than twenty years. This three-screen projection concentrates on the experiences of three women Russian Air Force pilots during the Second World War. The video-collage combines documentary scenes of the aerial warfare with fragments of interviews of the pilot by Simone Aaberg Kærn. Simone Aaberg Kærn is based in Denmark. She has exhibited widely throughout Europe and America. 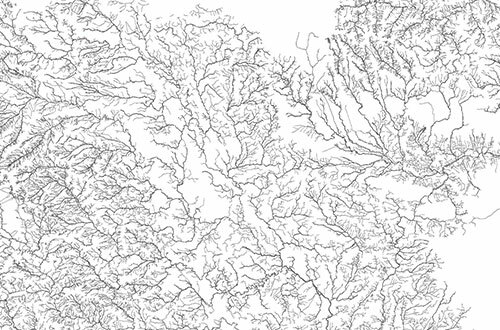 By working with engineers from the Pennine Water Group and Yorkshire Water Ruth Levene mapped the river networks and buried infrastructure to create a series of prints that explore Yorkshire’s natural and manmade water systems. The work asks what it means to engineer something by questioning how the systems and infrastructure we weave our lives around help to shape our understanding of the world. The works on display are from ‘Hidden Waters’, a series of work produced during Ruth Levene’s time as artist-in-residence in the Faculty of Engineering at the University of Sheffield. Ruth Levene has exhibited widely in the UK and abroad and has been awarded major commissions. She studied Fine Art at Hull School of Art and Design and is now based in Sheffield. 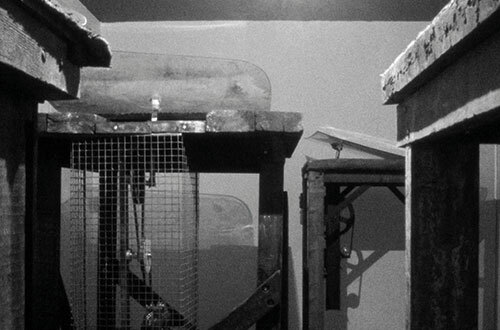 Clare Mitten explores relationships between historical and contemporary technologies through handmade machines. 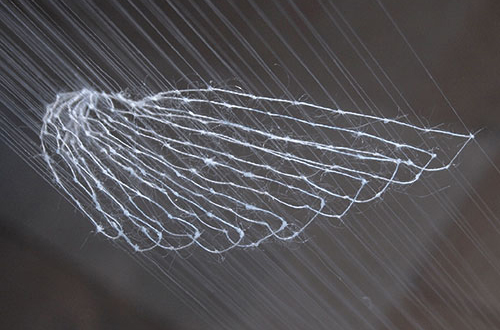 She is fascinated by engineering in nature, in particular that of seed dispersion. 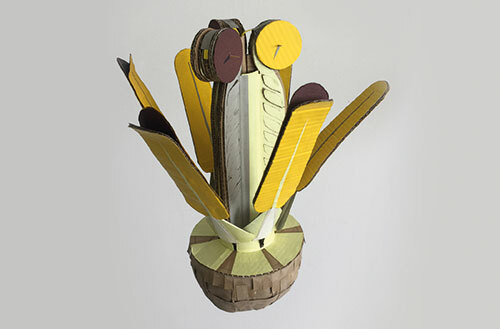 For this exhibition, Mitten presents a collection of fantastical cardboard prototypes of plant-machine hybrids. For example, Pistil Whorl suggests a spinning spore, satellite or drone as much as it does the reproductive parts of a tulip it is actually derived from. 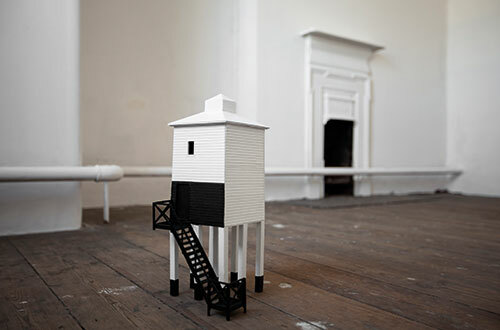 Mitten has received a prestigious Jerwood Award. Her next solo exhibition will be at the William Morris Gallery, London in the city where she lives and works. Helen Schell is a Space Ambassador aligned to the current Tim Peake mission. In 2015, she was awarded a Pollock Krasner Foundation grant to research and visit UK Space Gateway, the European Space Agency, Royal Astronomical Society and National Space Centre. She is currently collaborating with Northumbria University’s Solar Physics group and works in Newcastle.